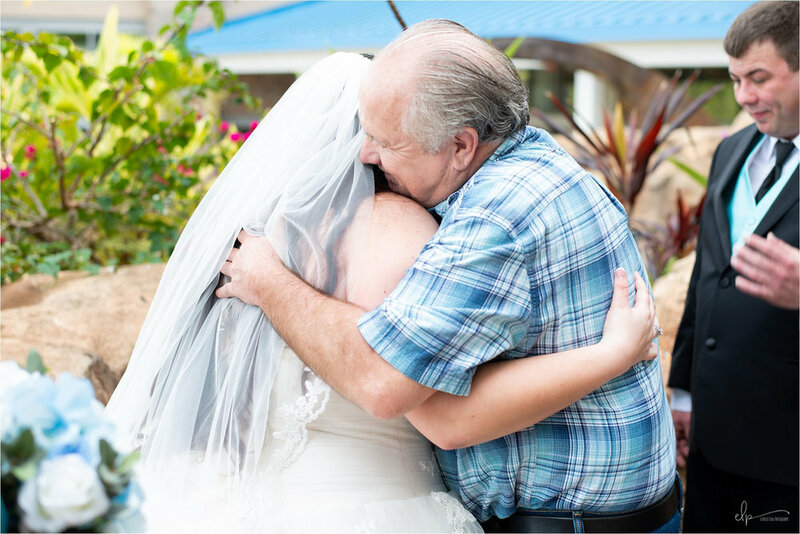 I am so excited to share that Laurel and Richard are official married! 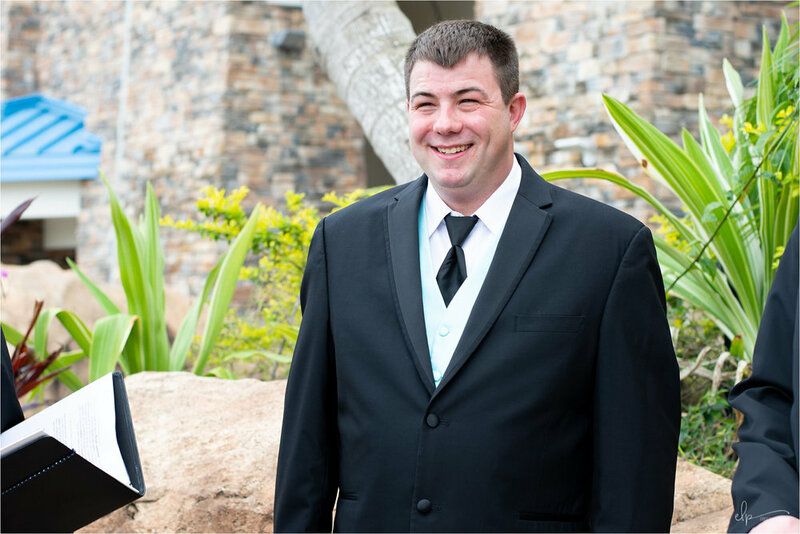 These two had the most beautiful intimate wedding ceremony at Loews Sapphire Falls Resort, in Universal Studios Orlando. 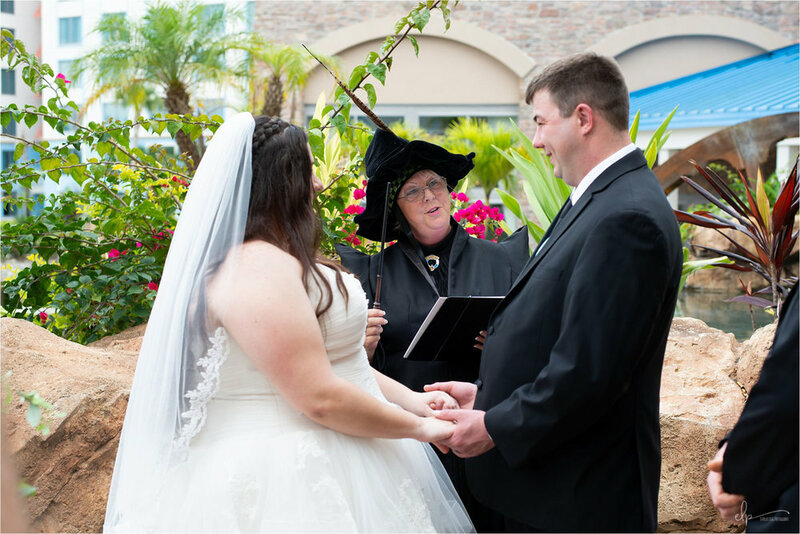 Wedding Officiant Katherine T Imundi went all out for the couple’s themed Harry Potter wedding! She married the two love birds dressed up as Professor McGonagall! 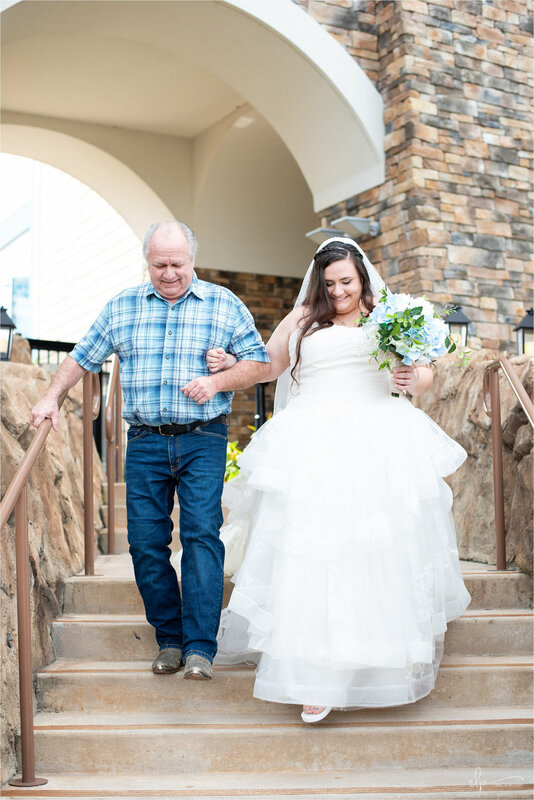 It was such a fun and lighthearted ceremony surrounded by close friends and family. 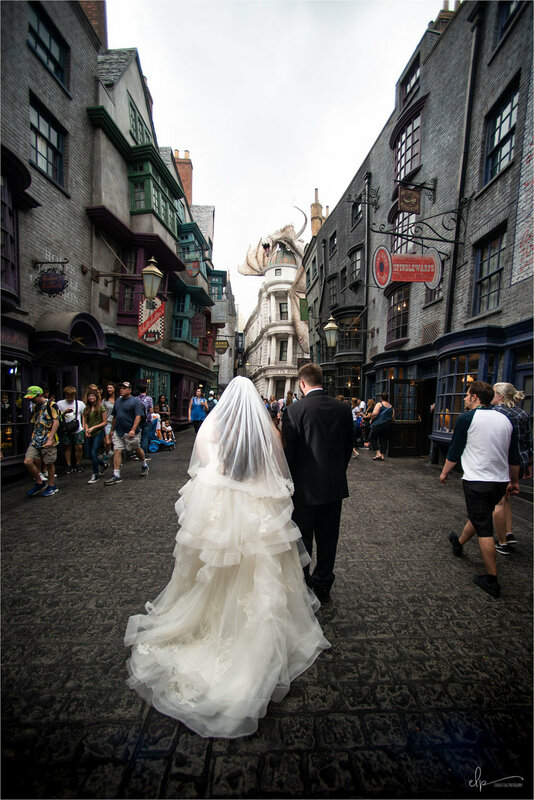 After wedding portraits around Sapphire Falls Resort, we went over to Diagon Alley at Universal Studios Orlando for more wedding photo fun! It was incredible. Yes it was crowded, yes it was bit hot, but it was so worth it! The guests and staff were so accommodating and mindful. ( One park guest even helped fix Laurel’s wedding dress train, haha. ) 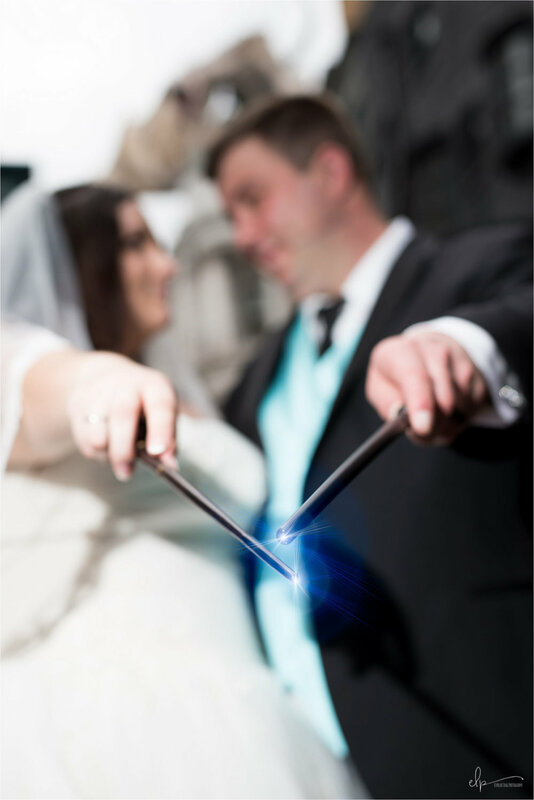 Laurel and Richard rocked their Harry Potter themed wedding photos. 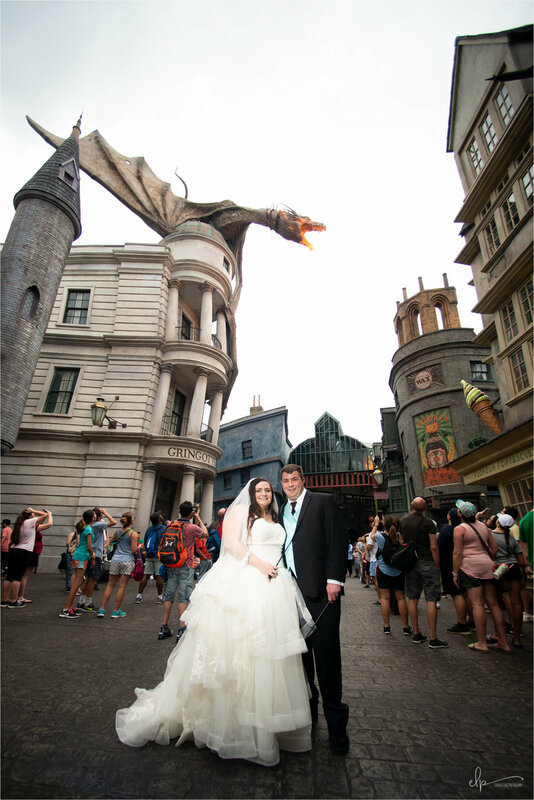 I am so thankful I got to document this couple’s wizardly fun side. Photographer Advice : The best time of day to shoot theme park sessions is as soon as the park opens to avoid the crowd and heat. 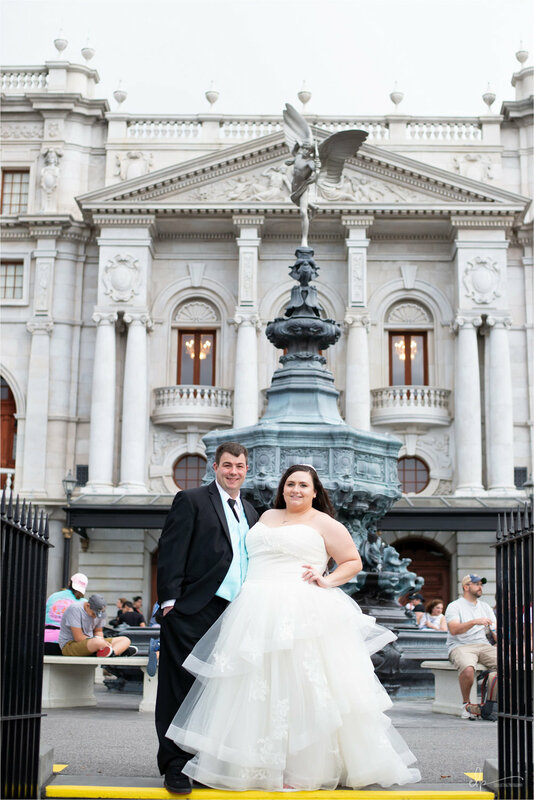 Huge shout out to all the vendors who helped make Laurel and Richard’s wedding day perfect!